We are a leading Manufacturer of label removing machine and bottle label removing machine from Ahmedabad, India. We are counted amongst the foremost enterprises, engaged in offering a broad range of Label Removing Machine. This machine is manufactured by our dexterous professionals with high precision using excellent quality components and high-end technology in line with the international quality standards. The offered machine is used for removing labels from plastic bottles. Also, this machine is checked on several quality parameters and can avail from us in various specifications at very reasonable price. We are the prominent enterprise, engaged in offering supreme quality Bottle Label Removing Machine. 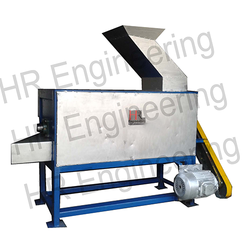 The offered machine is designed and manufactured by our dexterous professionals using supreme class material and ultra-modern technology as per the set industry standards. 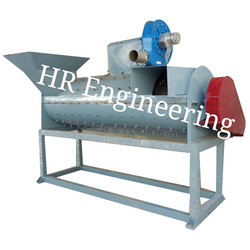 This machine is available in various technical specifications as per the clients' given specifications. Offered machine is widely demanded in the industry and is used for removing labels from bottles.